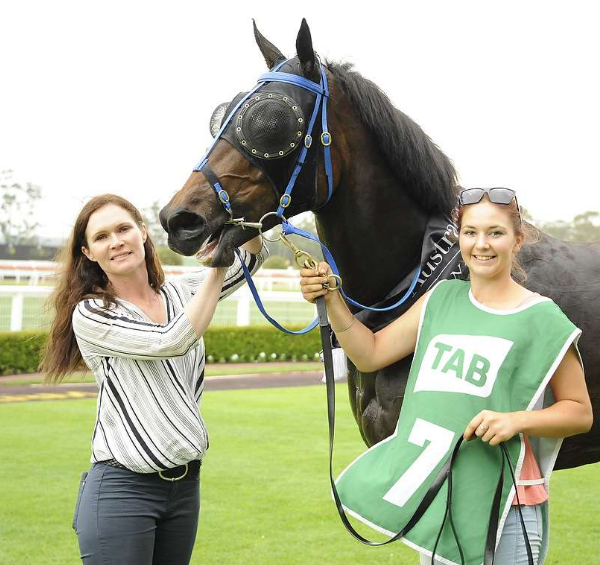 Hawkesbury trainer Brooke Somers is confident of taking on the heavyweights with her filly Enchanted Glory in next Wednesday’s $200,000 Wyong Magic Millions 2YO Classic. Somers has only been in the racing game for a short time and is hoping the Olympic Glory filly, a half-sister to Squamosa, will help establish her stable. Somers bought Enchanted Glory from Arrowfield Stud after she was passed in at the Magic Millions Sales. “I got her for $25,000 but I had to use the last of my mum Tricia’s savings to get the money together. She was very generous and had a lot of faith in me. Somers said she initially struggled to sell shares in Enchanted Glory but after her trial at Wyong on December 3, when she finished a close second behind the Snowden-trained L’cosmo, her phone had been running hot. “Snowdens have a fair opinion of their horse and she was only just beaten in the trial. I’ve known she was pretty smart from the get-go, but it is hard to get people to support a small stable. Brad Widdup has three unraced horses, Enraged, Islands and Jailbreak in the early nominations and expects to start at least one and possibly all three. Mark Newnham has nominated his filly Exceed The Stars, who started favourite for the Group 3 Breeders' Plate in September, finishing sixth after being caught wide. Acceptances for the race and the $100,000 Wyong Magic Millions 3 & 4YO close at 9am on Monday (10th December).